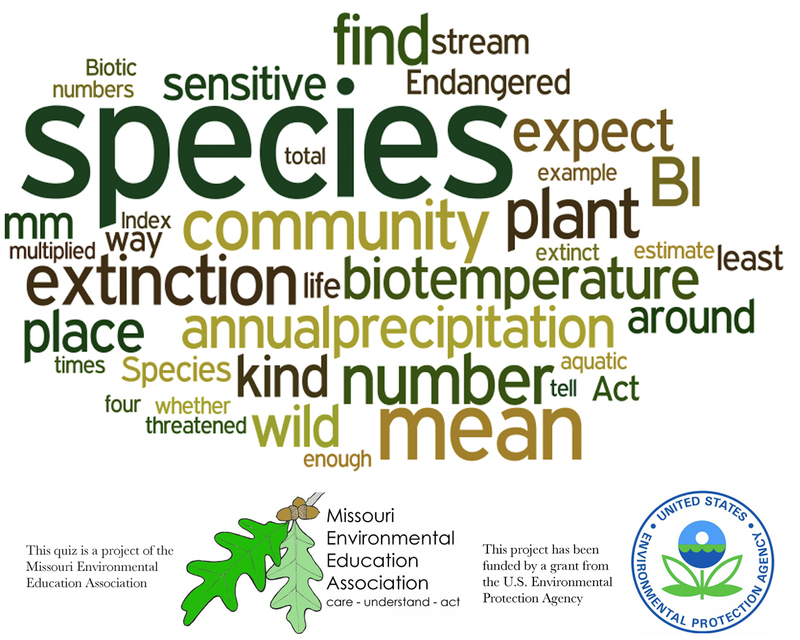 These quiz questions cover plant communities and their relation to temperature and precipitation, threatened, endangered and extinct species, examples of extinctions, the Endangered Species Act, careers in wildlife conservation and a few math questions on the Biotic Index. The program randomly selects 10 questions per quiz from a set of about 30 questions. Quizzes can be taken multiple times.